The Sims FreePlay is EA’s mobile version of the popular Sims game for PCs. 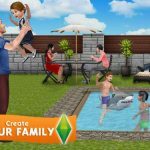 In here you’ll also be creating your own virtual people, or Sims, building and decorating their homes, and guiding them through their everyday lives. Your mobile Sims can also get married and start families, dress in a variety of outfits, and go through life from infancy through the golden years. By completing quests, you can unlock different venues in your town, and you can also take care of pets that can do a number of things for you. 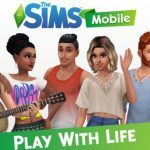 As you’ll find out below, that includes helping you earn Lifestyle Points and Simoleons (money), and we’ll tell you all about that, and then some, in this first of a multi-part The Sims FreePlay strategy guide to help you earn more money and LPs. 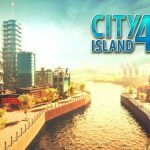 Just like it is in the PC version, you can keep your Sims happy and inspired simply by meeting their needs. Feed your hungry Sim by selecting the refrigerator. If a Sim needs some Fun, have them watch television or play computer games. Sims who are low on Energy need a jolt of espresso, andcCupcakes and cocktails (the latter at the nightclub) can also inspire them as well. For Social interactions, you can have Sims talk to each other on the phone or meet up in person, and have them be funny too, because everyone likes someone who’s got a good sense of humor! With your stove, you can improve your Sims’ culinary skills, while also helping them earn some money and lifestyle points. Start off simple with cupcakes or cookies, and improve their skills to the point where they can make chocolate cake. Just like in the real world, Sims can earn money by having a job. Make sure your Sims attend work regularly, so they can get promoted, thus earning you more SImoleons. Also make sure that they keep the job, because if they miss a day of work too many, that’s going to get them canned from work! Depending on the type of vegetables you grow, your Sims can get you a lot of Simoleons and experience points, especially if you have them grow crops that take about seven to eight hours to fully grow – have them do this right before bed, so that way you can wake up to a bumper crop of veggies, and a lot of XP and money to boot. And if you’re actively playing, bell pepper seeds would do the trick, as it takes just 30 seconds to grow them and get them ready to be sold. Forget the old story about dogs eating homework – they might not do that in The Sims FreePlay, but they can actually help you by digging up LPs and money. Once your dog has done that, make sure to praise him. The bone, which costs two LPs, will help your dog dig up Simoleons – and more LP – even faster, while having expensive pets can also help to this end.